The 4 x 5.65" Graduated Tuscan Pink 2 Filter from Formatt is one of the most widely used categories of filters. It enhances reality, adding a touch of subtlety or drama to the image. 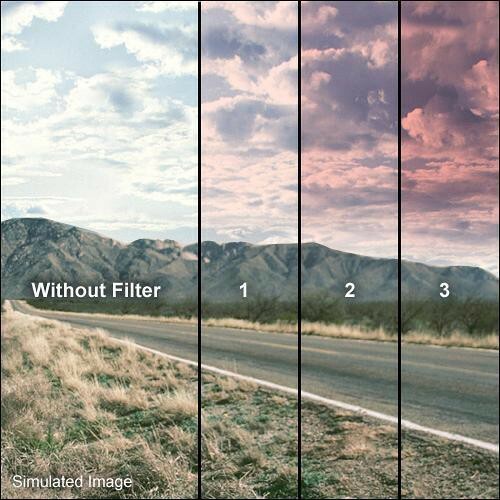 The Graduated Tuscan Pink 2 filter produces a pale rose - reddish pink. It differs from a standard Graduated Pink filter that produces a bubble gum type pink image. The Grade 2 is the middle version of this filter that adds a coolness to your image.